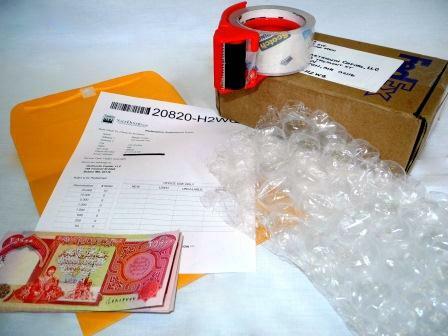 Do not ship your currency to us until you have been issued a Return Authorization number. Packages received without a valid RA # will be returned to you at your expense. 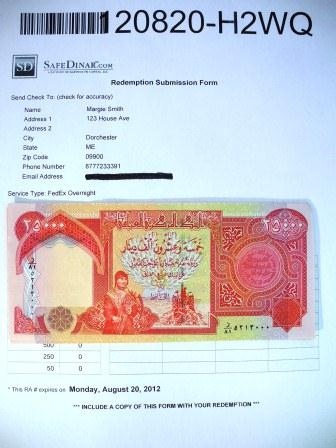 To obtain an RA #, please follow the redemption selling steps. Print your Return Authorization form and Shipping Instructions. Be sure to follow the Shipping Instructions carefully. 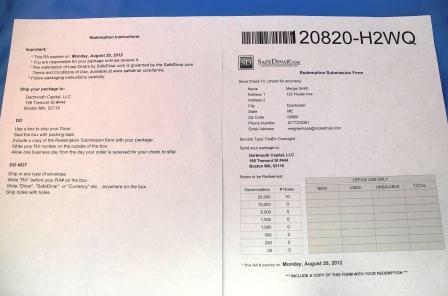 Please proofread the address information on your Return Authorization form. This is the address where your check will be delivered. 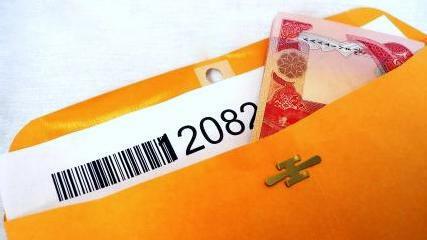 Place your currency and your Return Authorization form neatly in an envelope. Please count your notes carefully - inaccurate shipments will not be processed and will be returned in their entirety at your expense. 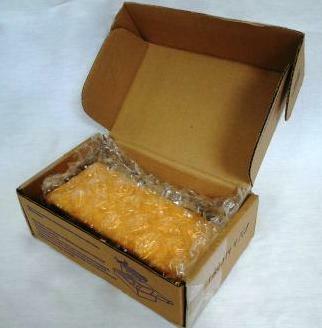 If your box has extra room, we suggest you use packing material so the envelope does not shift in the box. Be sure to tape your box securely closed. 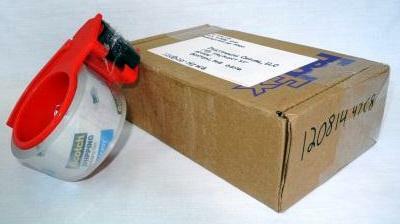 If you purchased a prepaid FedEx label as part of your order, simply print the label and tape it to the box. We recommend taping over the entire label with clear packing tape to prevent tears or other damage to the label. 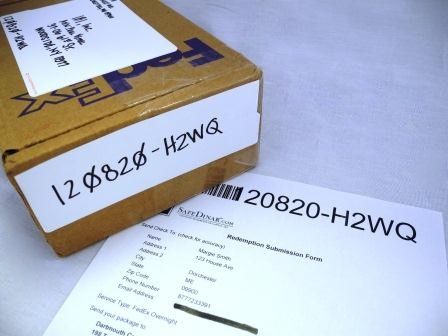 Otherwise, label your box with the address assigned on your Return Authorization form. 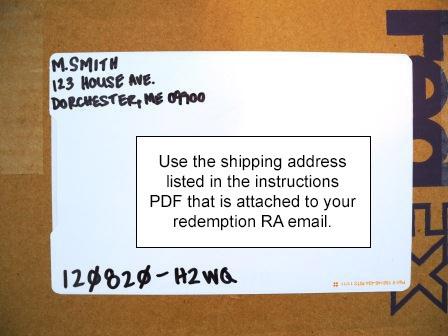 Be sure to write the return authorization number on your box, but do not write the letters “RA” in front of it. For example, as in the picture to the right, you would write: 120820-H2WQ. If you purchased a prepaid FedEx label as part of your order, drop your package off at a FedEx drop-off location. Otherwise, we suggest you ship your package with delivery confirmation service such as FedEx or UPS to be sure it is assigned a tracking number. We do not recommend using the USPS. We must receive your package within 5 days of the date the RA was issued. If your Return Authorization expires, there is a 30-day waiting period before you can have another Return Authorization issued.